Recently a couple friends and I decided to have a long overdue dinner night. Usually I am all about having a hand in choosing the place but I’ve been so busy with work I decided to leave it up to them and boy was I in for a treat! L’asso offers tasty, unique pizza combinations like mozzarella, gorgonzola, pear and walnuts a.k.a the Alla Roba or fresh mozzarella, herb cream cheese, pancetta & arugula a.k.a the Pancetta. How does a girl decide?! Over the year’s L’asso has earned a reputation for its pizzas. It has been called the, “Best Pizza in Manhattan” by the Daily News and “Top 5 Gourmet” by Time Out NY. So you can only imagine my delight and excitement when I realized where we were eating! L’asso offers a couple gluten free drink options including cider like Sam Adams Angry Orchard (one of my absolute favorites!). I love margherita pizzas for their simple ingredients. Sometimes using the simplest, no nonsense, ingredients makes for the best tasting pizza. All the ingredients were very well proportioned. I must say the sauce was really good, especially with the oregano, basil and EVOO to complement it. For me the crust is just as important as the ingredients. Since being gluten free, I’ve come to realize some restaurants don’t understand this. However that’s not the case with L’asso. The crust had a great texture and crunch factor to it that I really enjoyed. Reginald, Manager at L’asso, informed me the Chef uses tapioca flour for the crust. My gluten loving friends tried my pizza and were surprised how good it tasted. 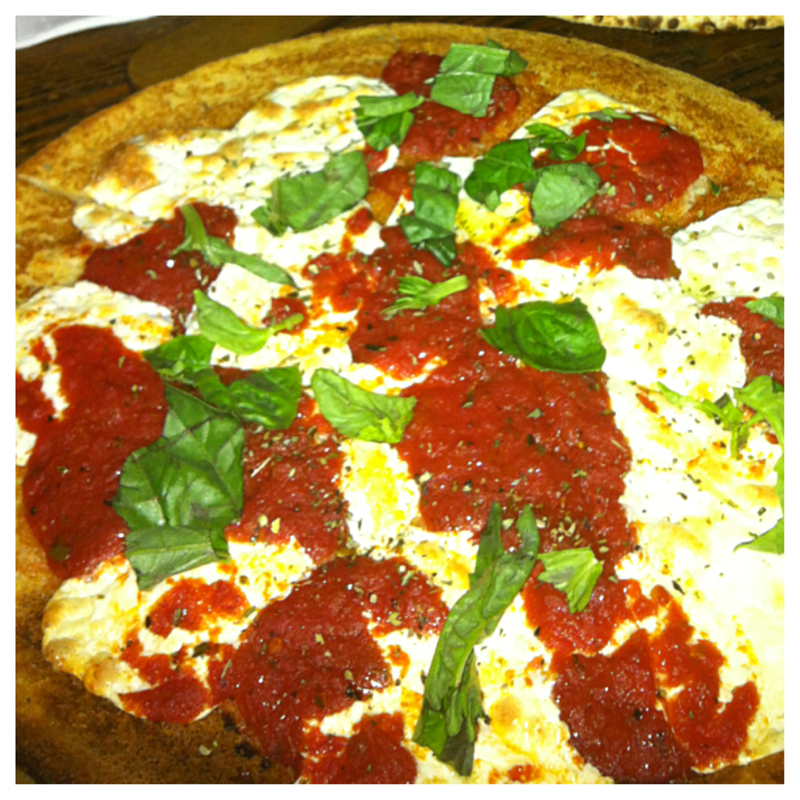 For one person, the gluten free pizzas are more than enough and you’ll most likely be bringing some back with you! Fun Fact: L’asso has two locations, Mott street and East Village. The East Village location offers all its pizzas as a gluten free option. Whereas the Mott location only offers 4 gluten free pizzas including the Margherita, Bufalina, Marinara, and the San Daniele. If you’re not in the mood for pizza you can get organic gluten free fusilli or spaghetti pasta for an extra $4 charge. By this summer, the Mott location will have a gluten free option for all its pizzas. L’asso offers an all around relaxing, laid-back place to grab a great tasting, inexpensive meal. This location would be great for a date or a low-key dinner. The staff was very attentive, friendly as well as knowledgeable both about the overall menu and gluten free options. I will definitely be going back but most likely to the East Village location so I can try another pizza!